Almost ten years later, the Fall Out Boy bassist speaks out about the most iconic picture on the internet. 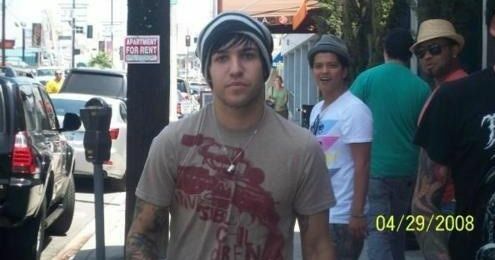 Pete Wentz has revealed that he has never spoken to Bruno Mars about that iconic photo of the pair of them in the street that surfaced almost a decade ago. You know - the one where Bruno looks surprised to see Pete that spread across Tumblr and still makes us smile to this day. "I have never talked to Bruno about it. The picture's funny. I think he explained the picture, and the explanation kind of takes a little bit of the magic out of it, possibly. He's like, a photographer bumped him or something. I know Phil, the other guy in the picture, his writing partner. And I always forget to ask him about it." Come on Pete - you gotta go chat to Bruno so we can get a recreation for the 10 year anniversary in 2018. Make it happen. Pete Wentz: "I feel like "Young and Menace" was inspired by 1990s modem connecting sounds. I don't know if that's actually true — Patrick did not think that was true. Maybe you should answer this question...I don't think — the record is not gonna sound like 'Young and Menace.'" Patrick Stump: "No. And that's the thing, it's not a style. 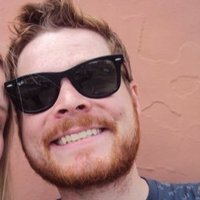 For a long time, I don't think we've been very easy to— you know, if we wrote a song that sounded too specifically like a style, we don't really use it." Fall Out Boy's seventh album MANIA will be released on September 15th. The band will also embark on a full US arena tour this autumn, beginning October 20th in Cleveland Ohio.